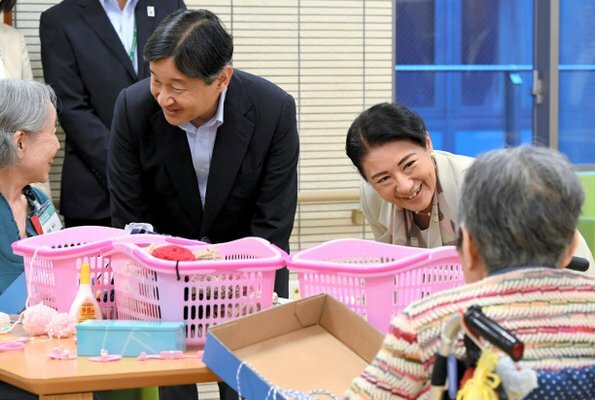 On September 21, 2018, Crown Prince Naruhito and Crown Princess Masako visited a senior service center in Sumida, Tokyo, where old people participate in activities like handicrafts and exercise. 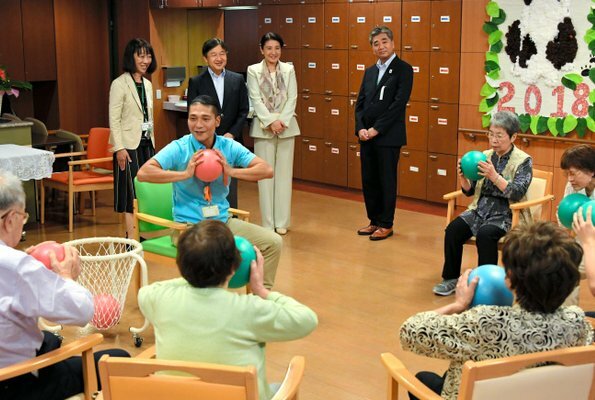 The Crown Couple watched exercises and handicraft activities and talked to some of the residents. 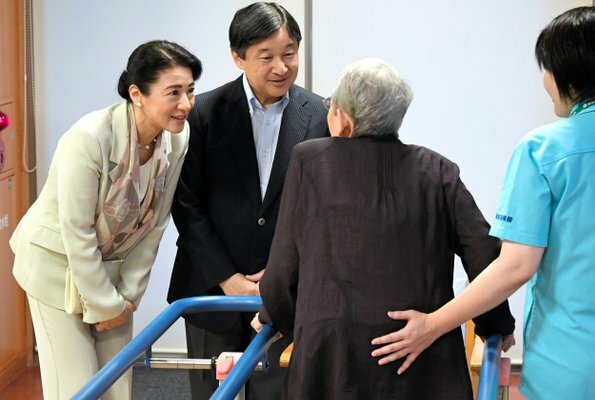 That visit took place in connection with Respect to the Elders Day which is celebrated on September 17. The future Empress looks happy, also like her suit the scarf is a nice touch.